The run-up to ShabbatUK at Whitefield was designed to get the community’s creative juices flowing around the theme of Shabbat, with the WHC Ladies Drama Club running a ‘Celebration of the Female Voice’ programme and children having the chance to make Challah, Bessamim (spices) and Havdalah candles. The decorations in the main hall and the use of Gazebos for a Friday night Whiskey and Chicken Soup Kiddush were inspired by Avraham and Sarah’s tent. This was just one aspect of an extraordinary Shabbat that also incorporated talks from motivational speakers, performances from the Ahmen acapella group, a shul comedy panel, a magician and countless fun activities for children. A communal candle-lighting at Shabbat’s outset was well-attended, as were communal meals. “A delightful day. It was made even more delightful by the wonderful lunch that we had”. “The entire day was wonderful, what contributed to making the day so special was that it was Shabbat, everybody was in Shul and able to observe a meaningful Shabbat”. “The atmosphere was delightful and in a true Shabbos way. We had the additional pleasure of meeting friendly neighbours who we did not even know!”. 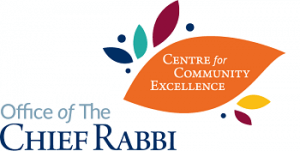 “Brilliant, brings the community together and demonstrates that we can all engage with Judaism in our shul”. “Wonderful. Keep on doing it!”. It was a jam packed ShabbatUK at Whitefield. Kicking off with a superb Challah make including an arts and crafts option for the children. On Friday night the hall was packed for an incredible Kabbalat service where many of the children joined on the bimah to sing the Official ShabbatUK Lecha Dodi tune. This was followed by a Friday night dinner where the “décor, meal and atmosphere were all fabulous”. On Shabbos day there was a range of activities including a lunch, with guest speaker Rabbi Yaakov Asher Sinclair as well as an inspiring speech by the Chief Rabbi at Shalosh Seudos. ShabbatUK culminated with a breathtaking fireworks display for Havdala.